The Deluxe room in The Gopinivas Grand is one of the best rooms in Kanyakumari, offering superlative comfort on your every visit to Kanyakumari. 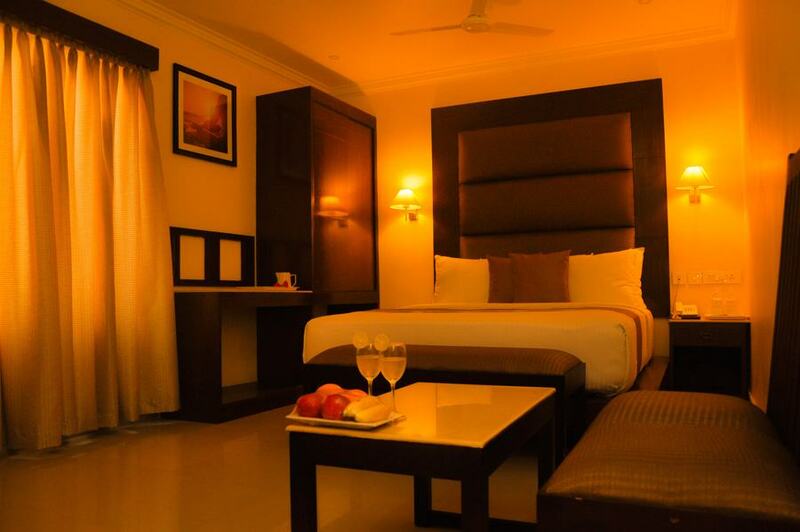 The Deluxe Single Bed comes with one king size bed, other than the air conditioning and carpeted floors. It is ideal for partners or colleagues on business trips or to attend conference & meets. The bath comes fitted with shower panels to enhance every moment of your stay here. French windows open out to balconies that stand over the old town Kanyakumari.